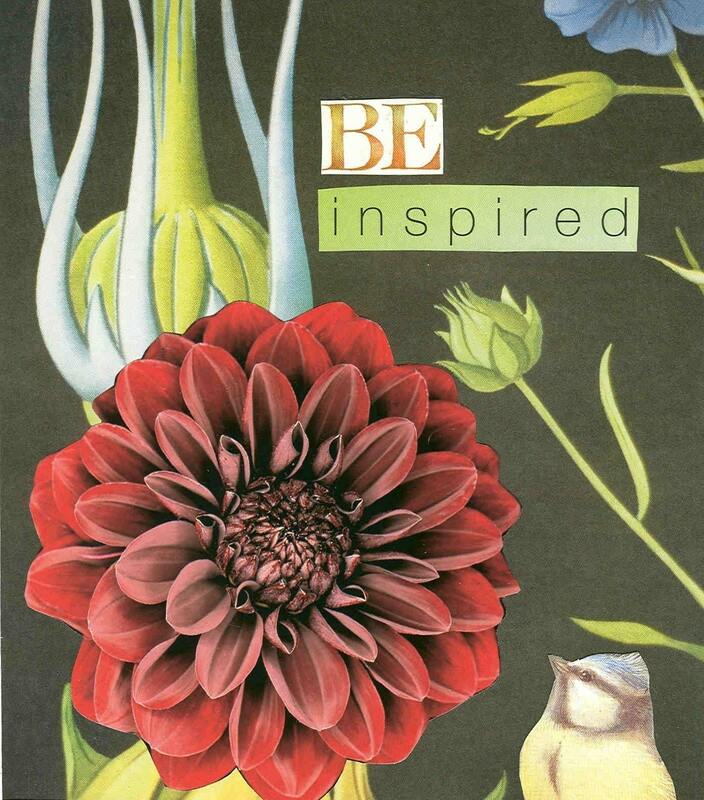 This is a collage I did with a sweet little bird looking at a flower ten times his size and feeling inspired! Each notecard measures approx 4x5" and comes with a matching envelope in a protective cello sleeve. It comes blank for your own personal message.